In mid-1989, the band began recording in Milan with producer Flood and engineer François Kevorkian. The initial result of this session was the single "Personal Jesus". Prior to its release, a marketing campaign was launched with advertisements placed in the personal columns of UK regional newspapers with the words "Your own personal Jesus." Later, the ads included a phone number one could dial to hear the song. The resulting furore helped propel the single to number 13 on the UK charts, becoming one of their biggest sellers to date; in the U.S., it was their first gold single and their first Top 40 hit since "People Are People", eventually becoming the biggest-selling 12-inch single in Warner Bros. Records' history up to that point. In January 1990, "Enjoy the Silence", became one of Depeche Mode's most successful singles to date, reaching number six in the UK; a few months later in the U.S., it became Depeche Mode's biggest hit, reaching number eight, and earning the band a second gold single. It won 'Best British single' at the 1991 Brit Awards. To promote their new album Violator, they held an in-store autograph signing at the Wherehouse Entertainment store location in West Los Angeles, which attracted approximately 20,000 fans, some of which were injured by being pressed against the store's glass by the crowd, and nearly caused a riot. As an apology to the fans who were injured, the band released a limited edition cassette tape to the fans living in Los Angeles and was distributed through radio station KROQ, the sponsor of the Wherehouse event. 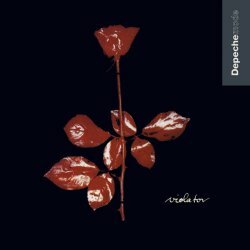 Violator went on to reach Top 10 in the UK and U.S. It has also been certified triple platinum in America, selling over 3.9 million units there. The subsequent World Violation Tour was another notable success, with 40,000 tickets sold within eight hours for the New York Giants Stadium (in East Rutherford, New Jersey) show, and 48,000 tickets for the Los Angeles Dodger Stadium show sold within an hour of going on sale. Two more singles from the album, "Policy of Truth" and "World in My Eyes" were hits in the U.K. and U.S. As a testament to the album´s success, in later world tours, several songs from Violator have appeared in tour setlists.